The Orkney Islands are unique in Scotland’s health and social care system. Home to around 21,000 people, and spread over 70 isles, these are mostly rural communities, diverse in size and setting, with fewer than 20 residents on some of the smaller islands. And while this can complicate the delivery of joined up care, what struck me on my first visit to the islands was the passion and keenness everyone I spoke to had for improving health and wellbeing for the people there. Whether working in statutory services or the third and independent sector, they were all saying and wanting the same things. The challenge for the Health and Social Care Partnership (HSCP) is how to develop a more singular, flexible and community-driven approach that matches their health and social care resources with community needs and priorities. 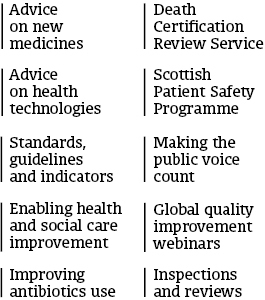 With that in mind, the HSCP asked for support as they considered different approaches to commissioning care. We initially facilitated a learning session with strategic managers on best practice and community priorities. There was clearly already very good tacit understanding of the lay of the land, which is a great place to start from. From these discussions it became clear that a shared visual understanding of the current structure of health and social care services could enable local conversations around optimising how resources, assets and ultimately people connect on the Orkney Islands. As a bespoke way to respond to this, our team used a technique called Integrated Systems Mapping (ISM). Working with the Health and Care Partnership team, the local authority, and third sector organisations, we spent several months building a picture of the various connections between the Orkney Islands’ current health and social care services. We asked ourselves the question: how do we work together and build relationships to make better use of our resources? Co-production with the partnership is key to this process and important for our future aims and ambitions to improve health and social care and wellbeing for the people of Orkney. By identifying local solutions to local needs, community is placed at the heart of the integrated health and social care system. The map helps present something which is complex in a clear and accessible way, which is something which hadn’t been done before – this includes cross-sector adult and children’s health and care resources and Orkney’s community assets. This whole system view enables Orkney HSCP to facilitate local conversations around how the totality of Orkney Island’s health and care resources and community assets could be optimised to meet its populations needs in the future. The map is ultimately a strategic tool that can be used to encourage conversations with all the relevant people, to think about how resources are used and distributed. By capturing and visualising clearly on one page the totality of the health and care system, it should help build a consensus locally on what needs to change, what can be refined, and what should be invested in further. In parallel to this, we’ve been working with the Care Inspectorate, Scottish Social Services Council, and others, to share learning around the Neighbourhood Care model. Based on Buurtzorg, a Dutch approach to holistic neighbourhood care, this model offers more flexible ways of working, presents opportunities for more non-formal care providers, greater self-management for workers, and the use of funds to better meet individual and service outcomes in line with self-directed support and person-centred care. We hope this will help shape a new health and social care system for the Orkney Islands. As I mentioned, the Orkney Islands are unique, relying on few people to have or share multiple roles in the community. Flexibility is a welcome foundation for them. For a small island community, inward investment is vital to support a thriving local economy, to support the development of integrated services, and to retain a flexible workforce. We are continuing to work with the HSCP to design working practices that are community supported, test new models of care and build on the learning from the Integrated Systems Map work. These approaches are a more sustainable, long-term way to address the challenges and opportunities around health and social care, in Orkney and potentially across Scotland. For the partners and Orkney, the next step is to embrace these challenges, to build on what makes them unique. This is the spirit and the strength I saw in their communities. For more information visit the ihub website.